One of the many reasons I’ve been a fan of the band “Rush“. Not only have they supplied the “song track” of my life, they have provided a solid illustration of how to work collaboratively, in and out of the “Limelight”. The band has 20 studio albums, numerous live and retrospective albums, global concerts and this month join the “Rock and Roll Hall of Fame“. They survived a five-year hiatus after the tragic and untimely deaths of drummer Neil Peart’s daughter and wife and came back all the stronger. To hear the band talk about how they work and collaborate is a testament to mutual respect, tolerance, understanding and true admiration of each others skill and contributions. How does a Canadian rock band relate to your business? It’s a good question, that I’ll address below. 1. They are incredible storytellers. 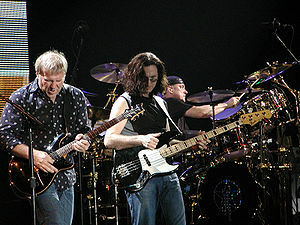 Rush achieved a strong following by crafting a great story and communicating that story with their wide and diverse audience. It’s not only in the musical chords and lyrics, but in how the band presents themselves and their art to the world. They’ve come to know who and why their audience is attracted to them and are able to connect deeply with those emotions in their audience. Do you know your story, or your “why”. Take some time to reflect on “why” you do what you do and how you will communicate it to your various audiences: you staff, your customers and your influencers. 2. Trust your partners and your team. Can you business survive the loss of a key member for five (5) years. Sure you’re not a rock band, but have you made the plans you need to overcome an unfortunate event. To do so effectively, you’ll need to have strong and understanding partners to help you get over the hurdle. Whether those partners are internal or external (vendors, etc); building trusted relationships that are not focused on immediate gain but long-term mutual growth will be the key to success. Having said that, Rush has been prolific in creating their art, but since they’ve been at it for over 40 year, this is understandable. On an individual basis, each album can be compared to one and other and the listener/critic can determine what they believe to be quality or not. But from the band’s perspective they are on record as saying they have given their best at the time of creation for each of their albums. Have you, in your business, given your best efforts in each of your products/services? Have you created the environment internally to foster creativity and innovation? By building their compelling story (and it’s definitely not for everyone), Rush has been able to able to reinvent themselves from time to time to explore their musical interests and through those reinventions maintained their audience. As a business, do we sometimes get to fearful to look at what we do, how we do it and most importantly why we do it. Do we ignore the environment around us until it’s too late. Or, at the extreme other end, do we hastily reinvent ourselves based on poor information (think New Coke). Having a good grasp on your customer and their needs, will help steer you in the right direction. In addition you can use today’s technology to listen to your audience and tweak your services to meet their needs. 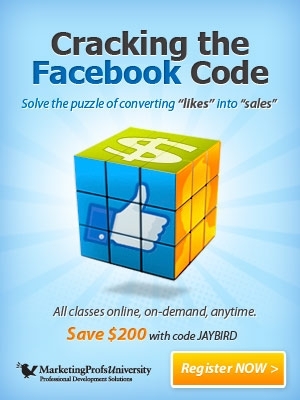 It’s never been easier to get immediate feedback from your audience. It’s one of the advantages that Rush has had all along – there can’t be any more immediate feedback than stepping “into the lighted stage”. Why use Rush as an example? Rush has endured for over forty years, delivering quality music and performances. The result of these efforts is a worldwide following hard-fought for and won by determination, creativity and hard work. As every guy knows, who has tried to explain the attraction of the band, that even Geddy Lee in conversation with Jian Ghomeshi admits “our music is weird”, we’ve defaulted to: it’s all about the lyrics. In reality, it is so much more. What I believe I’ve enjoyed most about my association with Rush, is their spirit, their ability to step outside of a norm and experiment and to trust that those of us that have been fans for a very long time, to enjoy the journey along with them. Congratulations to Rush on their installment in the “Rock and Roll Hall of Fame”, from a fan since 1975! You can do the same with your business. Get to know your customers, understand what makes them tick and build trust with them. Listen to their feedback and adopt what you can within your business and you’ll turn the consumer of your product/service into a brand champion. To get a good insight to the band, their development, intellect and perseverance, check out this CBC radio retrospective, from CBC’s Rewind aired April 4, 2013. You may also enjoy the interview from 2012 on Q with Jian Ghomeshi in advance of the Clockwork Angels release. Thanks for the kind words Jeanine.